Cantor Anita Hochman will receive the Marylee and Stuart Alperin M’kor Or (Source of Light) Leadership Award during a June 4 ceremony. Hochman is retiring after 36 years as cantor at M’kor Shalom. The Cherry Hill community will be honoring long-time Congregation M’kor Shalom cantor Anita Hochman with the help of a special guest in June. On June 4 at 5 p.m., Grammy Award winning singer and songwriter Janis Ian will help present Hochman with the Marylee and Stuart Alperin M’kor Or (Source of Light) Leadership Award. Ian will perform during the program at M’kor Shalom. The program is being done in honor of Hochman, who is retiring after 36 years as cantor at M’kor Shalom. 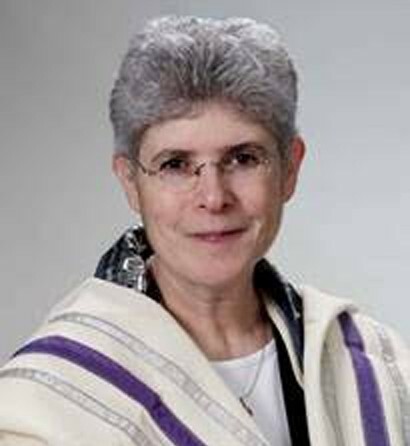 Hochman will continue as cantor emerita after her retirement, performing in various roles for the synagogue. Arriving at M’kor Shalom in November 1981, Hochman has served as spiritual leader, music director and educator, making music a fundamental part of the identity of the congregation, providing a thread of continuity and source of strength throughout all the years she’s been part of the M’kor Shalom family. Chairs of the dinner, David and Susan Olinsky, and Gary and Marlene Dworkin, look at the evening as a celebration for everyone whose lives have been touched by Cantor Hochman. The dinner celebration includes hors d’oeuvres, dinner and dessert and is open to the community. For tickets and sponsorship information, please visit: www.mkorshalom.org or call (856) 424–4220.